In times of great uncertainty, the urgency of the artist's task is only surpassed by its difficulty. 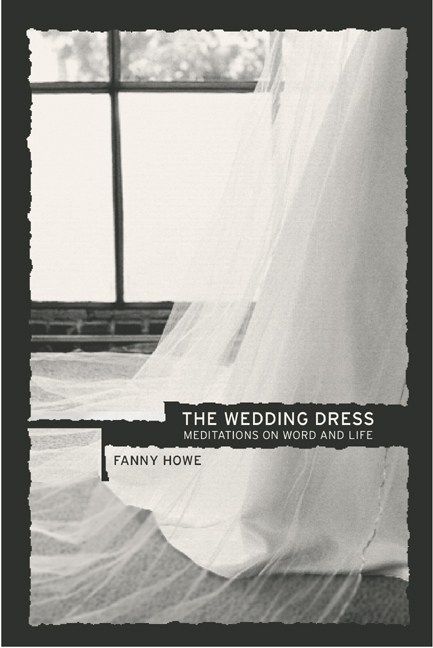 Ours is such a time, and rising to the challenge, novelist and poet Fanny Howe suggests new and fruitful ways of thinking about both the artist's role and the condition of doubt. In these original meditations on bewilderment, motherhood, imagination, and art-making, Howe takes on conventional systems of belief and argues for another, brave way of proceeding. In the essays "Immanence" and "Work and Love" and those on writers such as Carmelite nun Edith Stein, French mystic Simone Weil, Thomas Hardy, and Ilona Karmel—who were particularly affected by political, philosophical, and existential events in the twentieth century--she directly engages questions of race, gender, religion, faith, language, and political thought and, in doing so, expands the field of the literary essay. A richly evocative memoir, "Seeing Is Believing," situates Howe's own domestic and political life in Boston in the late '60s and early '70s within the broader movement for survival and social justice in the face of that city's racism. Whether discussing Weil, Stein, Meister Eckhart, Saint Teresa, Samuel Beckett, or Lady Wilde, Howe writes with consummate authority and grace, turning bewilderment into a lens and a light for finding our way. Fanny Howe is Professor Emeritus at the University of California, San Diego. Among her books of poems are Gone: Poems (California, 2003), Selected Poems (California, 2000), Forged (1999), Q (1998), One Crossed Out (1997), O'Clock (1995), and The End (1992). She is the winner of the Commonwealth Club Gold Medal for Poetry and the Lenore Marshall Poetry Prize from the Academy of American Poets. Selected Poems was also one of the Village Voice's Best Books of the Year and was nominated for the Griffin Trust Prize.